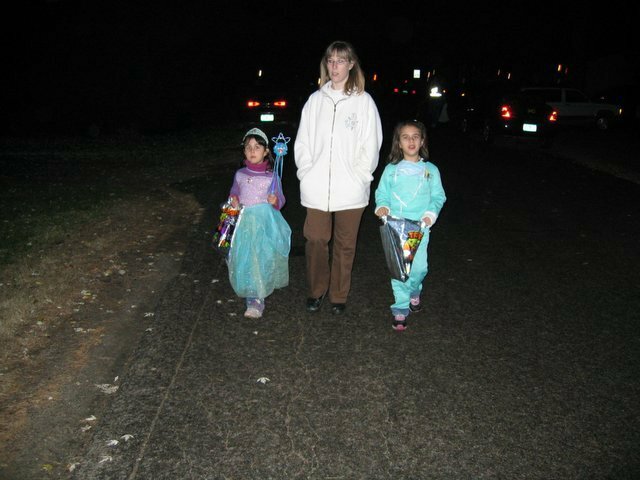 Jen with Sabrina and Hannah on Halloween night. Oooooo.........where can the candies be?? ?